This week is all about superstition! 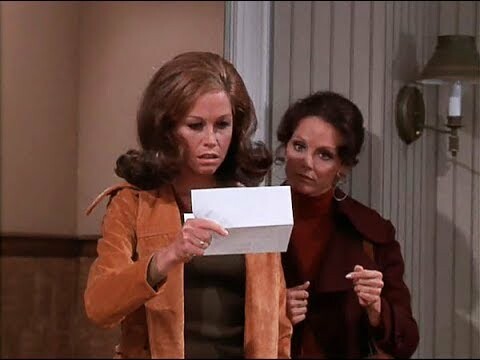 Lou sends a chain letter to everyone in the WJM office, and Mary is tempted to trash the thing and break the chain. Lou, however, guilts her into keeping up with it. Through this, she has the great misfortune of being reconnected with a man from hers – and Rhoda’s – past: Armand Linton! Through Mr. Linton’s heinous codependence, we discuss bad dates, the many fish (and 14 billion pounds of trash) in the sea, the do’s and don’ts of dating etiquette, and much more.